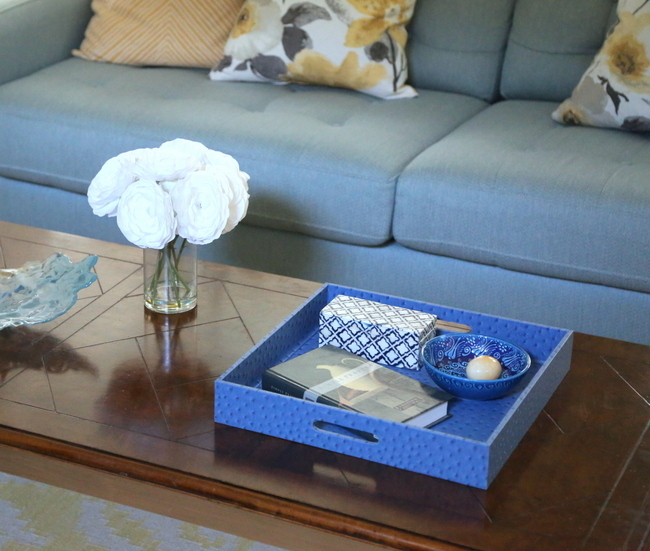 Several of you have asked for specifics regarding some “issues” that we had in Allison’s (my lovely assistant) home makeover, so today I am highlighting a few biggies in her living room. 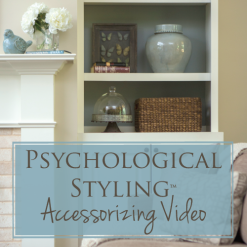 You probably know how I like to take on challenging fireplaces (see here, here, and here). 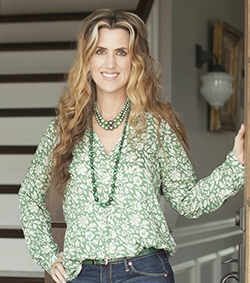 Allison’s fireplace had ceramic tile that was pinky-beige, while her adjoining kitchen floor was greeny-beige. Bad enough on its own, but even worse when compared to the other. Something needed to be done, but ON A BUDGET. Nothing’s cheaper than paint, so Allison was game when I told her to paint the tile in trim color. The trick is in the preparation – a coat of XIM Primer Sealer Bonder, and it’s ready to paint with regular latex paint. 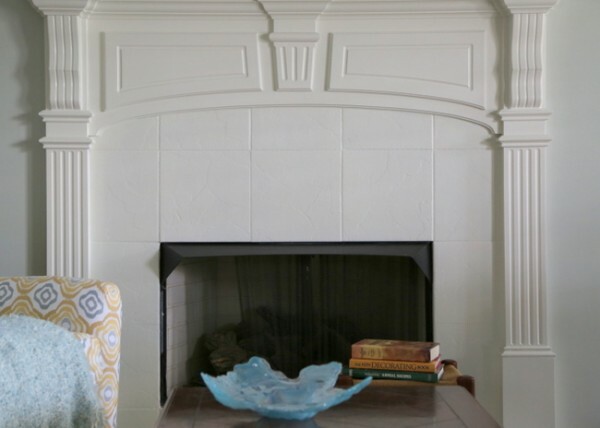 The result is a crisp, clean fireplace with timeless appeal. Now I’m not suggesting you paint just any tile, anywhere. This decision was not problematic because this tile will not be exposed to water or trampling upon, like tile in a bathroom might be. 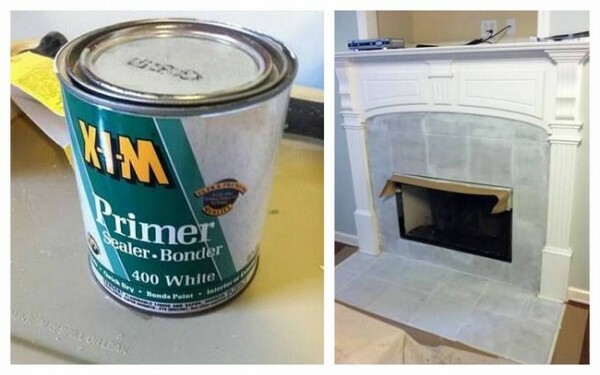 Painting tile on the fireplace is a fairly straight-forward DIY job, no great skill needed. Now on to the next challenge. 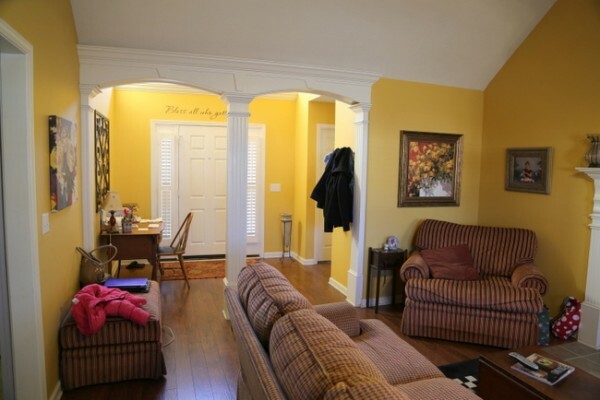 If you remember, there was a vaulted ceiling in Allison’s living room and a lot of choppy paint colors going on. 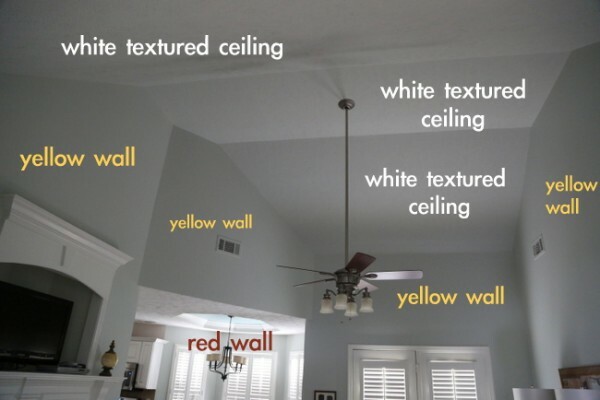 When vaulted ceilings are painted white and there’s a darkish color on the wall, it’s like you visually chop the top third of the visual plane right off. A third of what you see upon entry is a looming white ceiling. 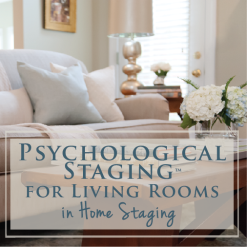 Even though we’ve always been told never to paint a textured ceiling any color other than white, I encouraged Allison to take the plunge and wrap the light gray-blue color we chose for the walls onto the slants and entire ceiling in the living room. 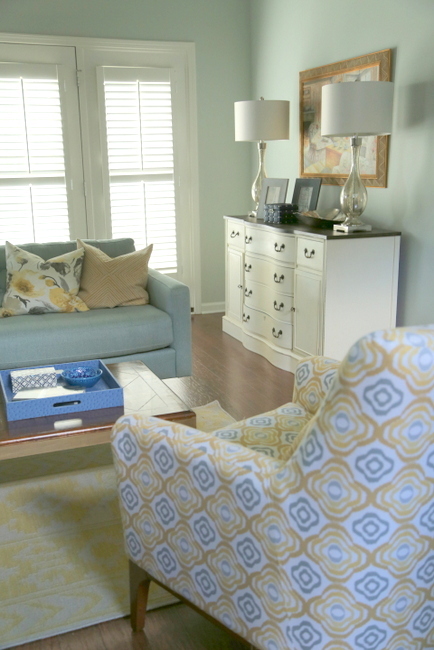 Odd and varying angles in a room can make a room so visually busy that it’s hard to attain a peaceful, relaxing feeling in a space, which is what Allison was hoping for in this home makeover. The decision to wrap this color on the ceiling solved that problem. I should tell you, I had the painters use an eggshell finish on the walls, and a flat finish on the textured slants and ceiling. A sheen would have drawn more attention to the texture, while a flat finish makes it less noticeable when the light hits it. My lesson for the day? Be brave, my friends! Thinking outside the box and carefully considering all of the possibilities can lead to some awesome results. 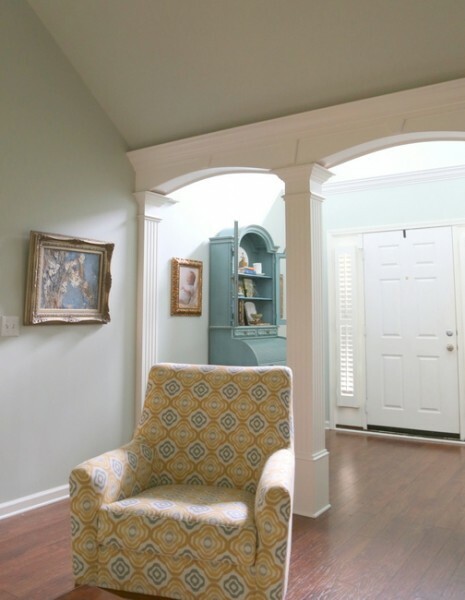 This entry was posted in Color Consultation, Design Intervention and tagged can-you-paint-textured-ceiling-color, can-you-paint-tile, how-to-paint-tile, paint colors, painting-ceramic-tile, painting-textured-ceiling, painting-textured-ceilings, painting-tile. 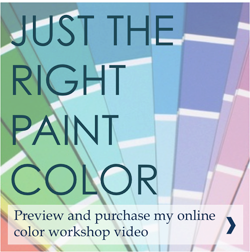 So glad to read this advice about painting a ceiling the color of the walls. I think it’s a good approach for lots of difficult situations, like dormer rooms, and bonus rooms with knee walls, and rooms with low ceilings, because the eye doesn’t get halted at the top of the wall. Thanks for another good post. Terrific update! Just did a bonus room for a client with enormous slanted ceilings and knee walls on either side. 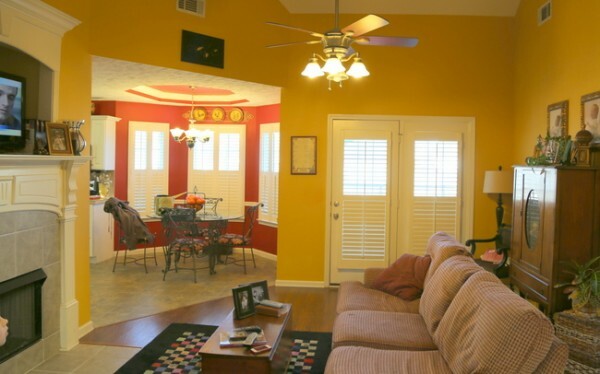 Changing the paint color and including the “ceiling” made it look so much more open and expansive. The white slants made me feel as though I needed to duck so as not to hit my head! Thanks so much for this post! 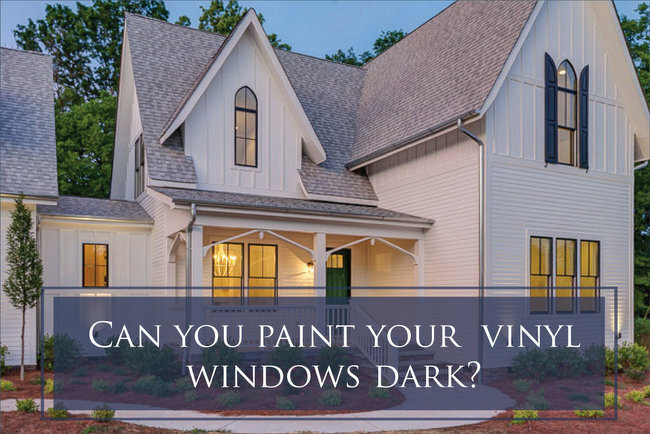 This is super-timely, as we are just about to paint a dormer room and I hadn’t even considered continuing the soft color we chose up to the “sky” – I can already imagine a big, positive difference in how things are going to turn out thanks to your advice! 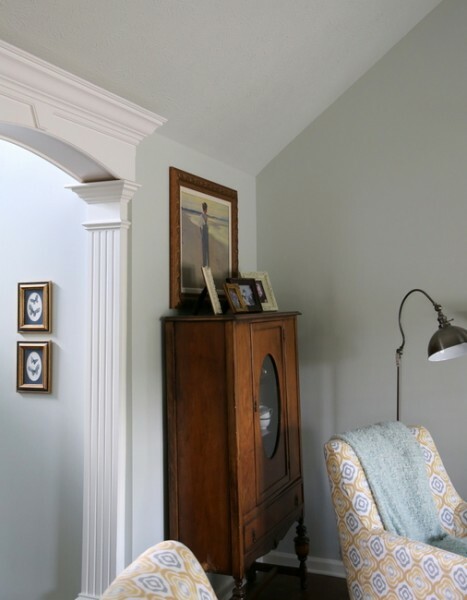 Having several dormer rooms with slanted ceilings and knee walls in my own home, I realized a long time ago how much bigger they look when painted out like walls, rather than ceiling. Good luck with your painting project! That sounds beautiful, Karen! Thanks for sharing. The color is beautiful. What is it? I will be painting my ceiling shortly. It is a popcorn ceiling, but it’s at 16′ high, so not too noticable. 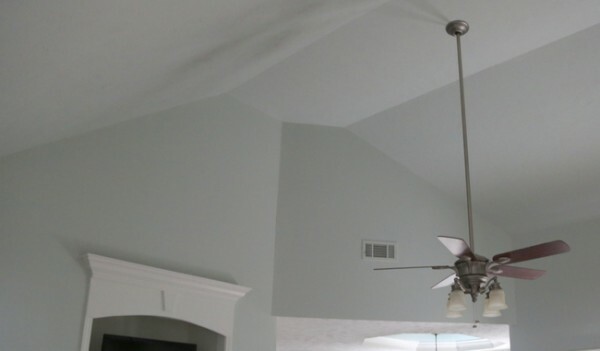 The tricky part with popcorn ceiling is that you need to use a really knappy roller that can provide good paint coverage. What a great idea to paint the textured ceiling a light and bright colour. 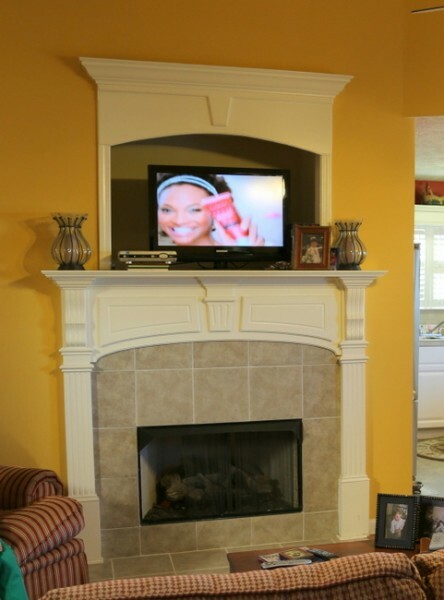 Also, I just cannot believe the difference in that fireplace – painting it white was certainly right and room transforming. Bravo! I painted my textured kitchen ceiling the same color as the walls (an almost white color so no boldness there), but painted it in the same semi-gloss as the walls. 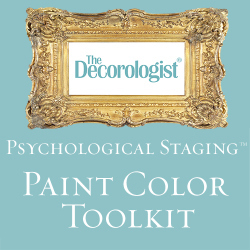 It actually helped camouflage a rough area where a cabinet had been removed. The sheen in other parts of the ceiling where the light reflects distracts away from the trouble area. Just an example where the rules go out the window :). Yet another amazing transformation. 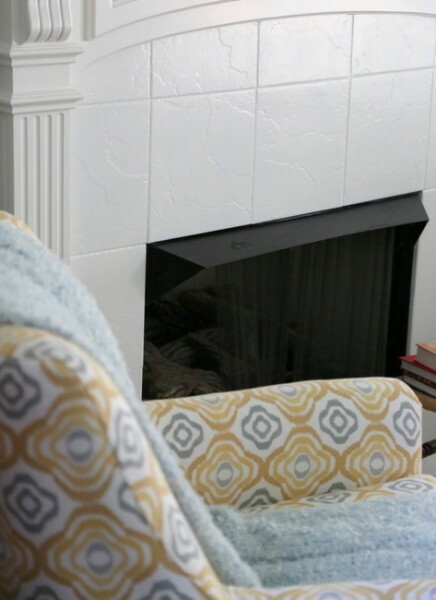 I painted textured ceilings before …but the fireplace tile? … Brilliant! Awesome, Kristie! 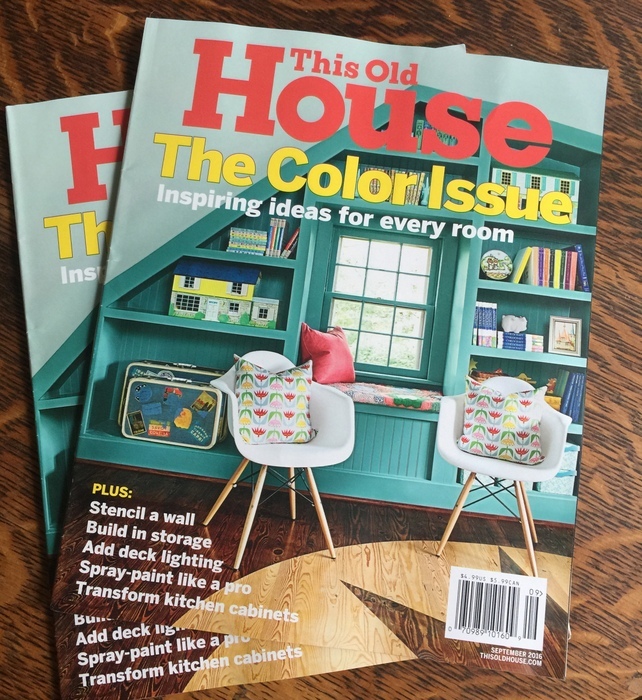 Really happy to see this article because we are moving cross country this summer and leaving our California contemporary home for 150+ year-old-home with knee walls and other interesting features. 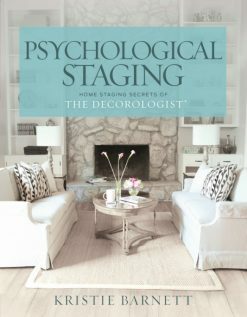 I don’t think I have ever out right disagreed with you about anything until this post: I was surprised to read, “… but unfortunately Iâ€™m a loser and didnâ€™t.” Don’t talk about my decorologist that way!! She is a genius–a generous genius, at that! Her home looks beautiful. Love the soft colors – so much better. 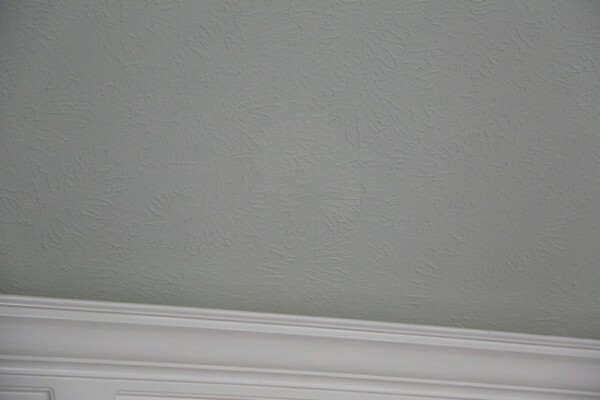 Is the stamped textured ceiling easier to paint than that hideous popcorn ceiling (we have) that I hate? Thanks for all the great info. Love your blog. Yes, Debbie – the stamped texture is definitely easier to paint than popcorn. I really wouldn’t recommend painting the popcorn ceiling. With a stamped texture ceiling, make sure you use a roller with a knap for rough textures so the paint gets in all the crevices. 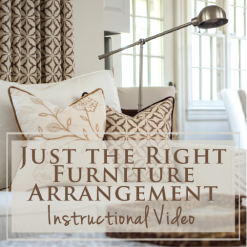 Showing husbands the before/after photos can be very helpful! Good luck!